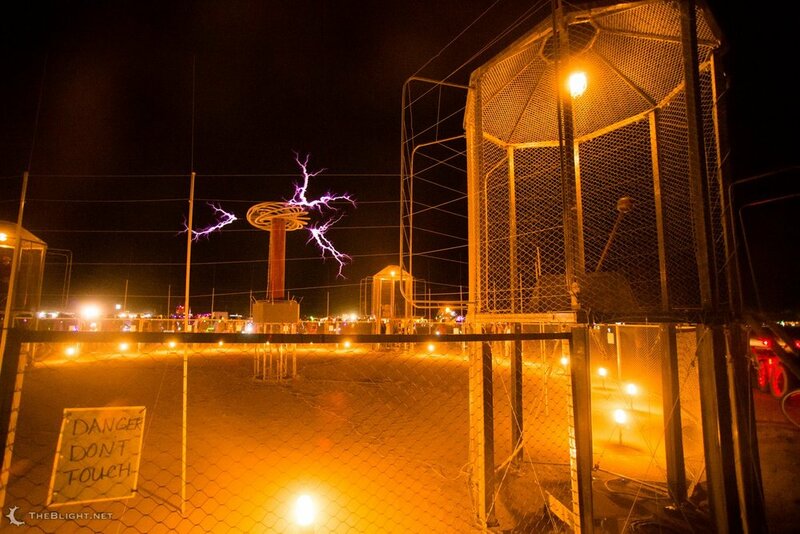 As part of the Coup de Foudre project, Lyra created a giant lightning death machine that did not kill anyone - a 20ft tall tesla coil. 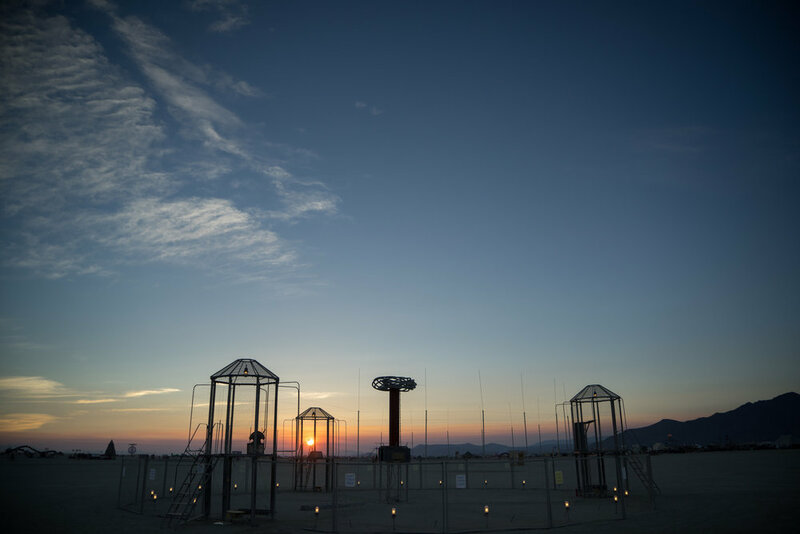 In 2015, it was surrounded by faraday cages from which participants control the lightning using Myst-style artifacts. In 2016, it was run on lower voltage in order to raise nearby visitors to a higher electrical potential, creating a tactile sensation both delightful and unnerving. Displayed at the Exploratorium.